Painted Mahogany Faux Finish – When “faux” is the way to go! 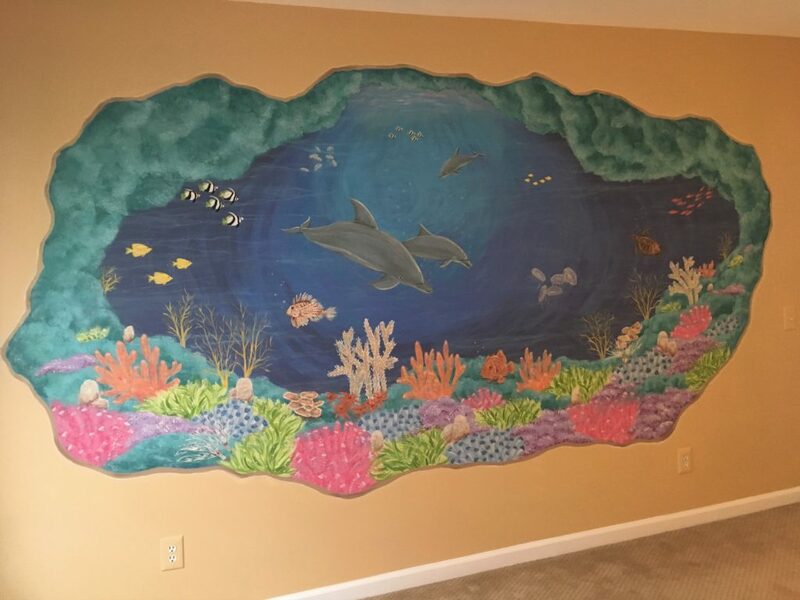 Sweet ideas for a newborn’s painted nursery. Every so often it’s nice to take a break and re-connect with some colleagues and get inspired by some new ideas and materials. 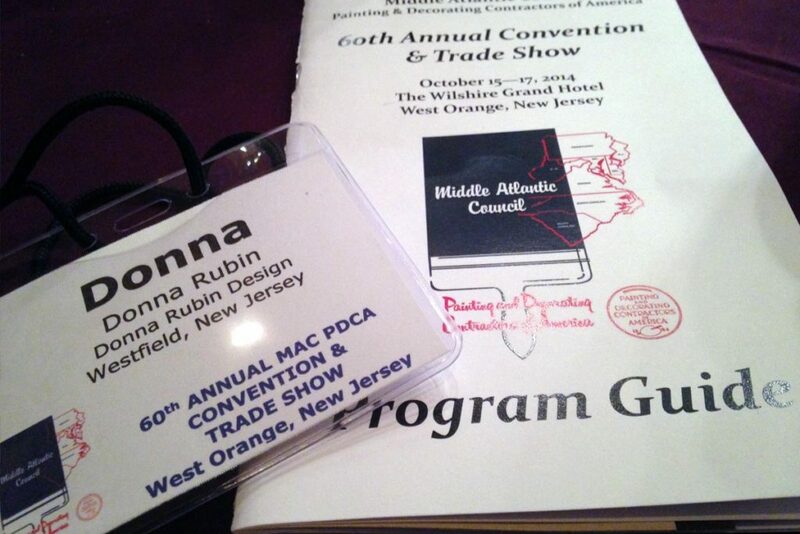 October 16th-17th I attended the PDCA Convention 2014, the 60th Annual Convention and Tradeshow of the Middle Atlantic Council of the Painting and Decorating Contractors Of America. (That’s a mouthful)! It’s better known as the MAC/PDCA. I used to attend this convention regularly and was even an officer of the Decorative Artists chapter in our region for a few years. Now I attend when it is local, as it was this year, in West Orange at the Wilshire Grand Hotel. Thursday there were seminars all day, and Friday was the trade show. I didn’t take advantage of the dinners and shows since I am local and wasn’t staying at the hotel. 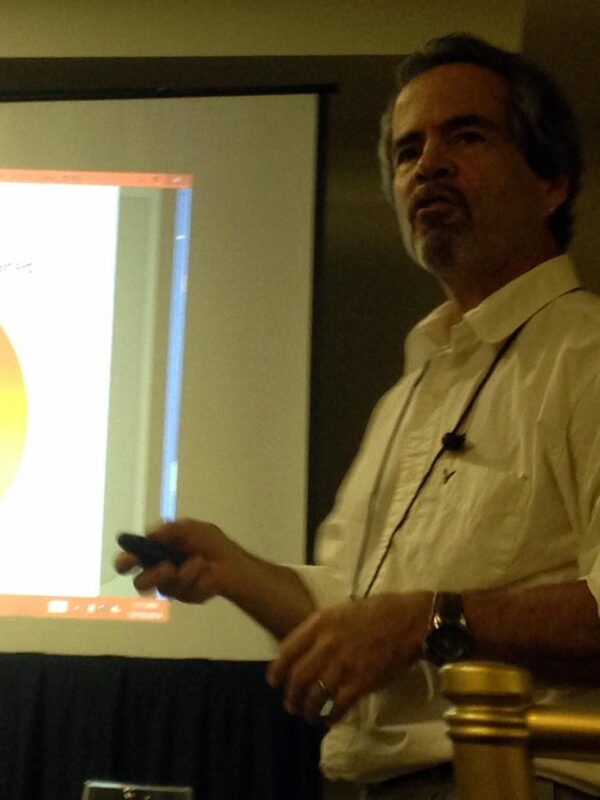 Of course, I went to the seminars on the “Decorative Track” versus the ones mainly for General Painting Contractors. Two of them were given by long-time colleagues of mine. Dean Sickler gave a seminar on Color: how it works with light, how the spectrums are broken up, how colors relate and play off of each other, and how to make color corrections with paint and pigments. 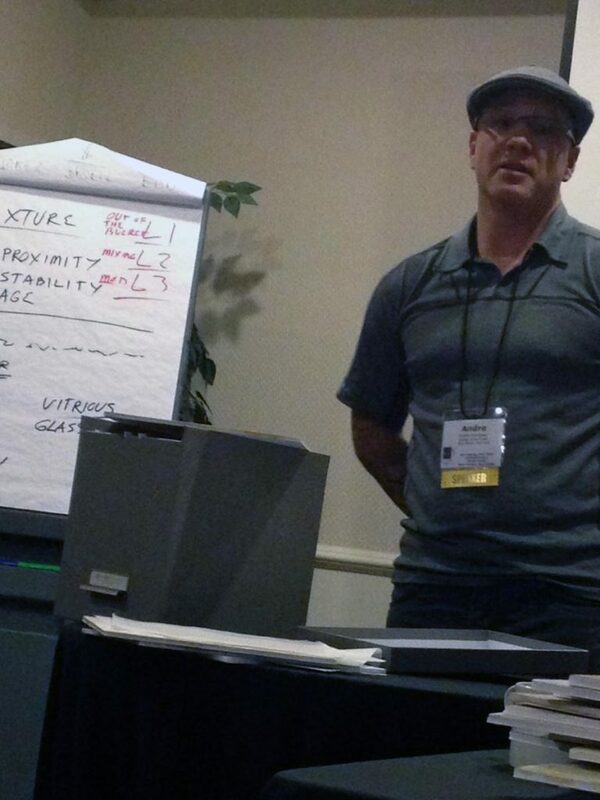 Andre Martinez gave a seminar on Decorative Textures for Fun and Profit, and explained the Proceed line of materials and how to market the exclusivity of your work. Aliya Riaz, also a long-time colleague spoke about Gilding and Gold leaf from an international historic perspective. 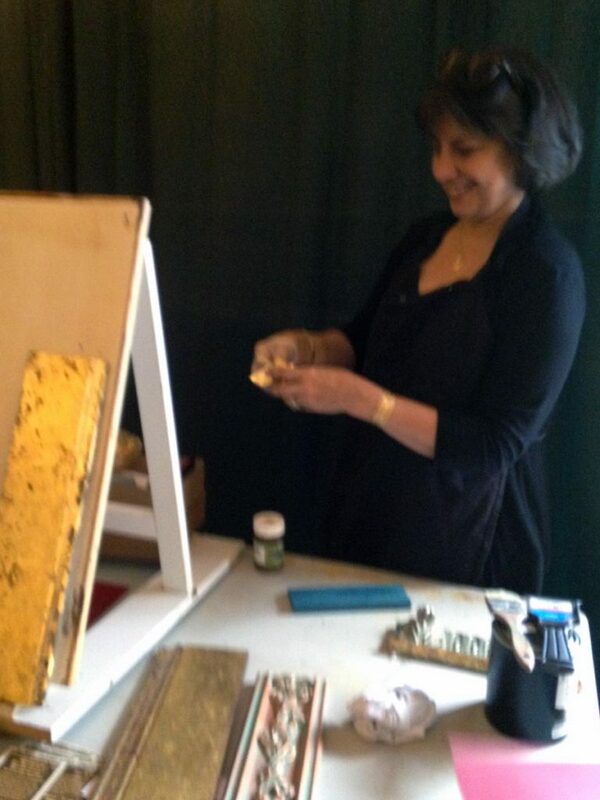 At the Trade Show on Friday she demonstrated some Gilding techniques. There was also a lunch-and-learn seminar, given by Ross O’Neal who described his 12-year long restoration project at the Oaks Cloister, built in 1900 by Joseph Huston in Germantown PA. No photos, I was busy eating, meeting new contacts and catching up with old friends while watching his presentation! The trade Show on Friday was fun. 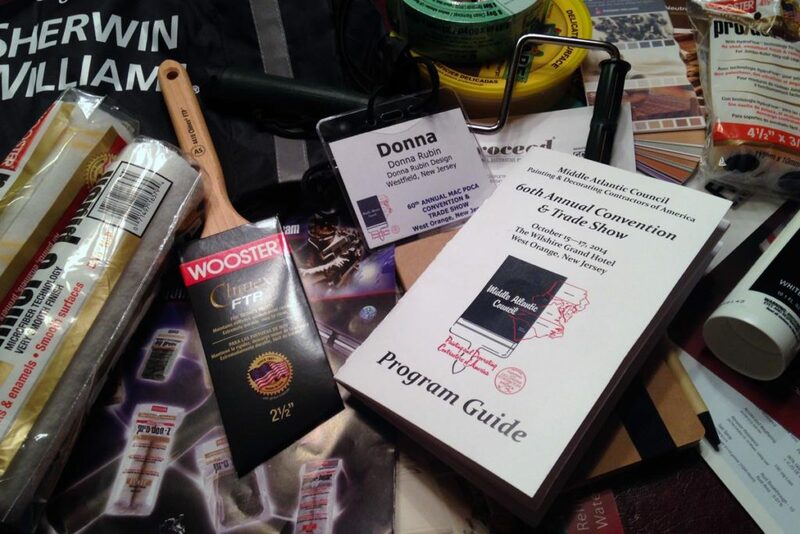 I got to play around with some new products in the demonstration area, visit with my friends from Dundean at their booth, watch a demonstration on paintbrush construction (by hand!) at Purdy, check in with Benjamin Moore, Sherwin Williams, and other distributors of paints, brushes, rollers, tapes, and other supplies. Just a few of the goodies I dumped from my bag when I got home! 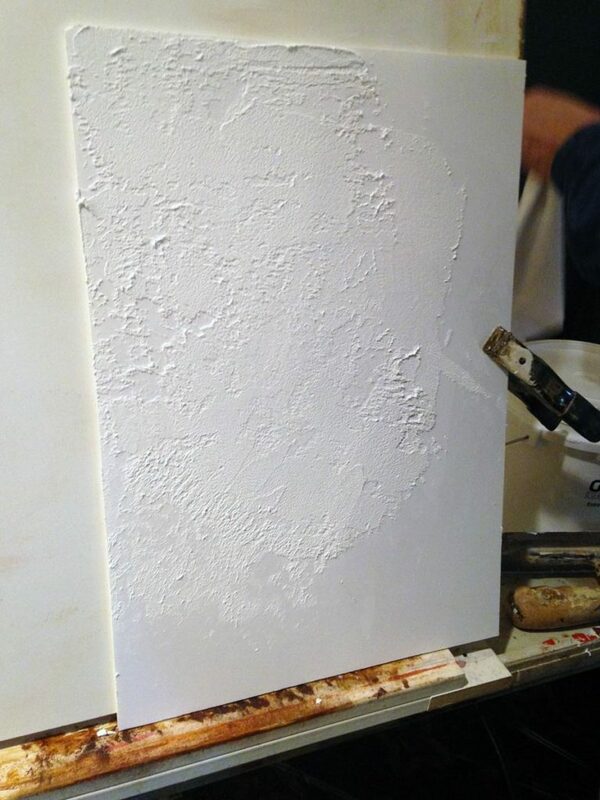 My sample board as I experimented with Proceed’s rough plaster medium. 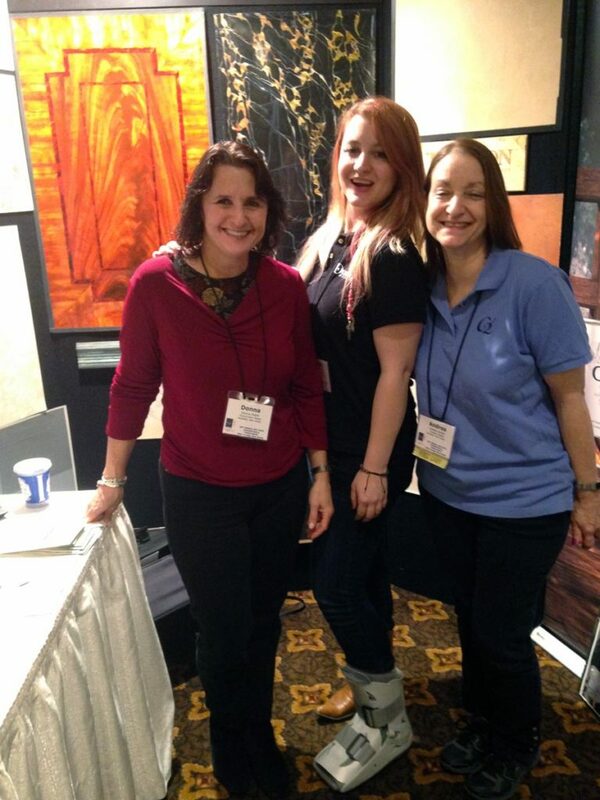 Me, with Julia and Andrea Sickler of Dundean Studios. My program and name tag. 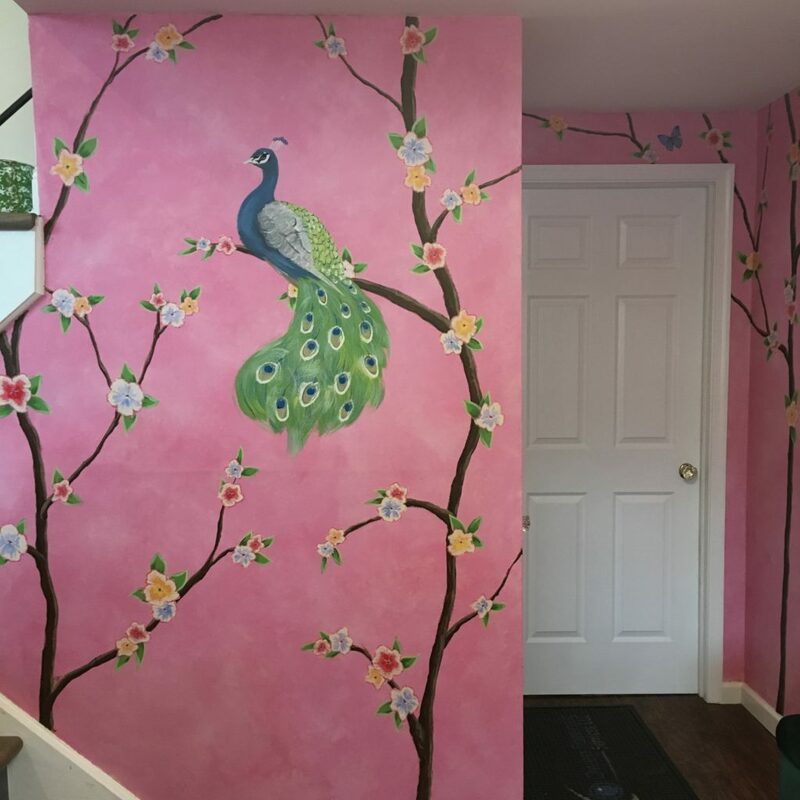 Foyer painted with peacock, tropical flowers, branches, birds and butterflies over a blended pink background. 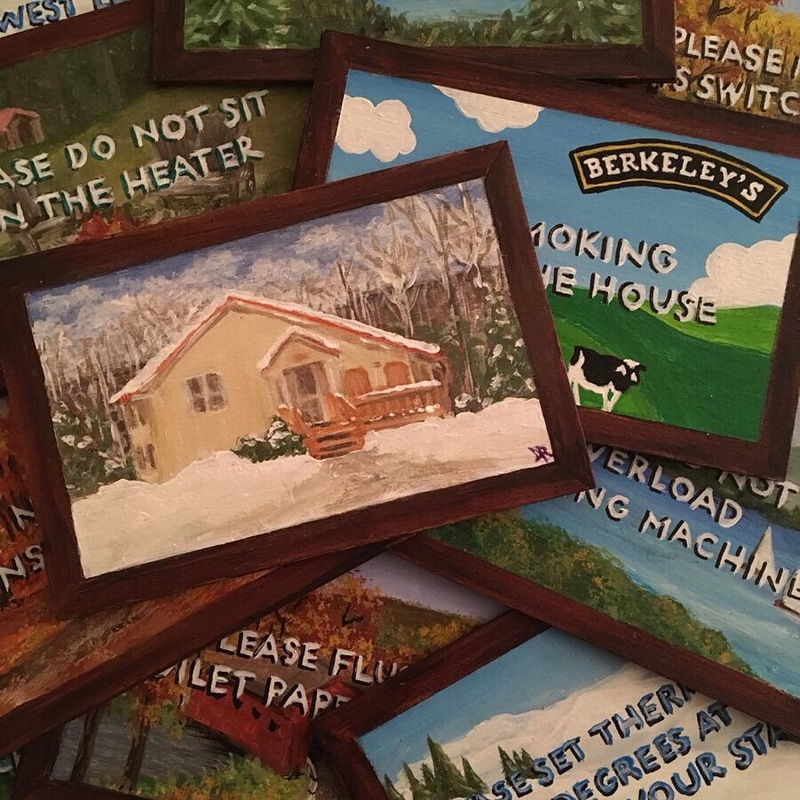 Set of small paintings of Vermont themes with instructions for Airbnb guests. Acrylic on 4 x 6 x 1/8 basswood. Copyright ©2019 Donna Rubin Design. All Rights Reserved. New Jersey Home Improvement Contractor License 13VH01791600.